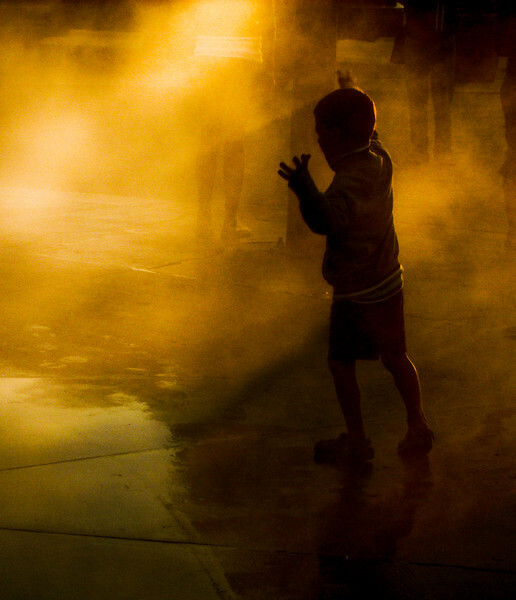 Some kid playing in the mist at Universal Studios pretty close to sunset. It's not in the shot, but the mist is coming from under the big metal globe that's at the entrance to the theme park. Made quite a few adjustments in Lightroom to get this mood. NICE!!! Love the color & the composition is great! wow! This is AMAZING! Fantastic job.